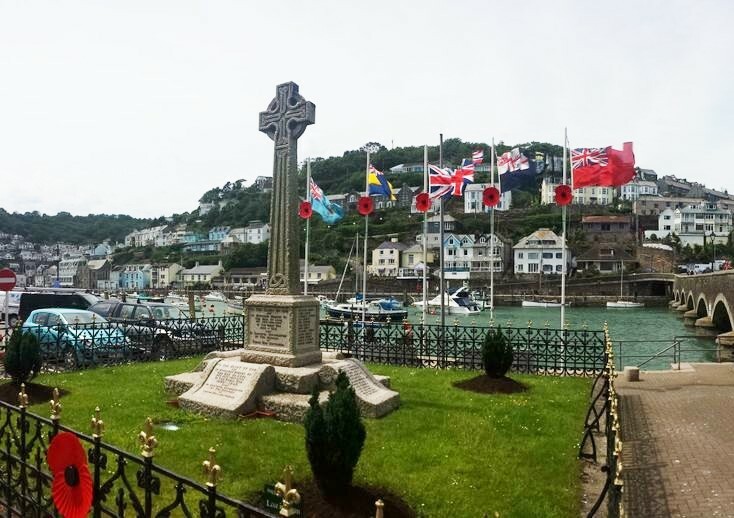 Looe War Memorial stands at the east end of Looe Bridge beside the harbour. The Memorial is made out of Cornish granate in the form of a Celtic cross. It was unveiled on the 14th May 1922 by local clergy and dignitaries. The memorial lists 75 names, 35 from World War1, 39 from World War 2 and one soldier from Afghanistan in 2009. Research into the following is on going and will be begin to be published in the near future. Lance Corporal Paul Upton,31, from Looe was one of three members of 1Rifles killed in Helmand Province, Afghanistan, on the 25th February 2009. Paul's name was the first to be added to the Looe War Memorial since 1945.